Lightweight and loose-fitting to flatter all body shapes. 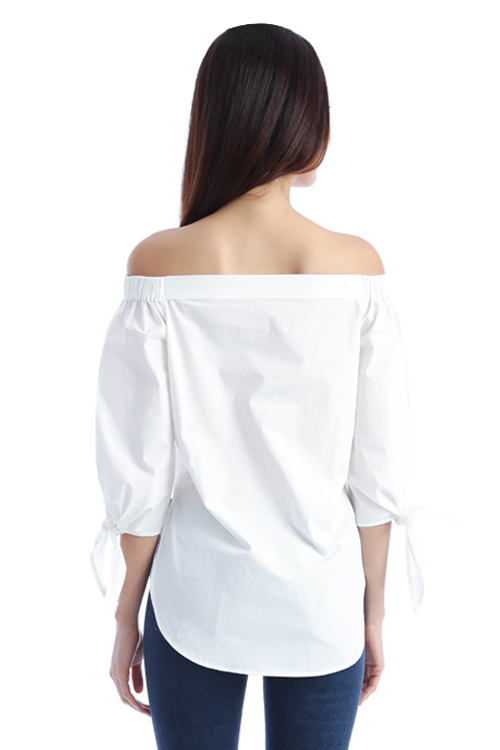 The trendy off-shoulder detail draws attention to the collarbone and creates a slimming effect to the arms. 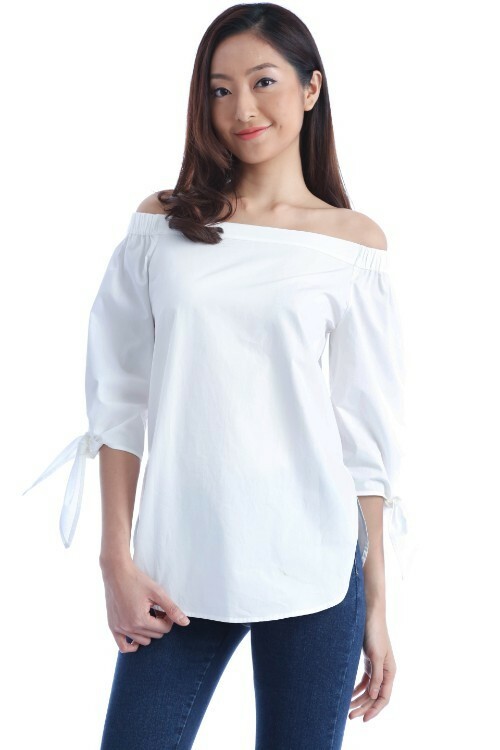 Best paired with slim bottoms or tucked casually into a pair of shorts.